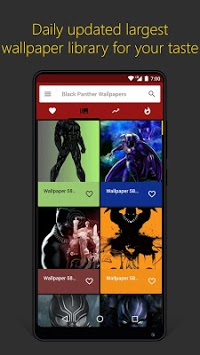 ⭐4K Black Panther Art Wallpapers (4K Black Panther Backgrounds) is a FREE app that has a large collection of 4K (UHD | Ultra HD) as well as Full HD (High Definition) wallpapers and home screen backgrounds. New best HD & 4K wallpapers will be added every day! - We focus on simplicity of the app, which gives great performance. It is battery efficient. 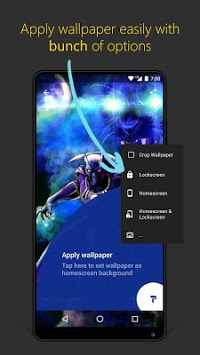 - You can set wallpaper in just one click. No need to hesitate to open gallery and find images. - All favorite backgrounds are placed under one roof. 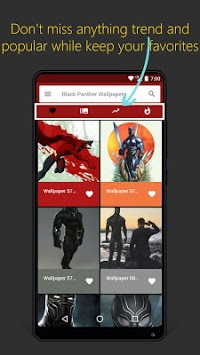 - You can easily share ultra hd backgrounds or everyday wallpapers with anyone with one click. Set wallpapers to your desktop as well with one click. Disclaimer - All logos/images/names are copyright of their perspective owners. This image is not endorsed by any of the perspective owners, and the images are used simply for aesthetic purposes. This application is an unofficial fan based application. No copyright infringement is intended, and any request to remove one of the images/logos/names will be honored.